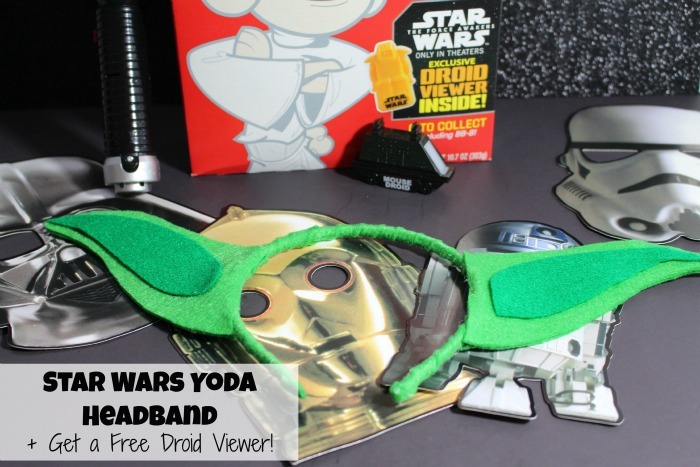 Star Wars Yoda Headband + Get a Free Droid Viewer! 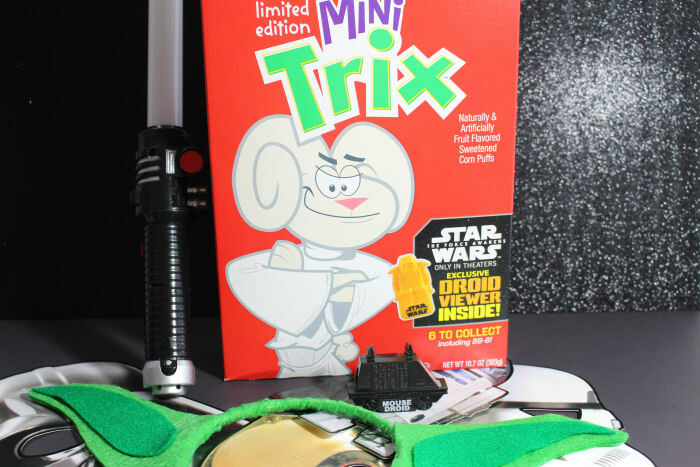 When I was shopping for some cereal I was so excited to see the Star Wars boxes by General Mills! My daughter quickly got excited too and asked if we could get a couple of boxes, one for her and one for her cousin. My nephew has been such a huge fan that he loves to act out stories with my daughter and his sister. It's cute how he explains to a couple of three year olds who each character is. My daughter loves snacking on cereal and I love that they are made with whole grain oats. I made some cute little Star Wars snack bags. I also made some Star Wars headbands and light sabers to go along with the theme. After snacking on the cereal I let her look in the boxes to see which droid view finder we got. There are 6 collectible droid view finders shaped like the characters from The Force Awakens movie. 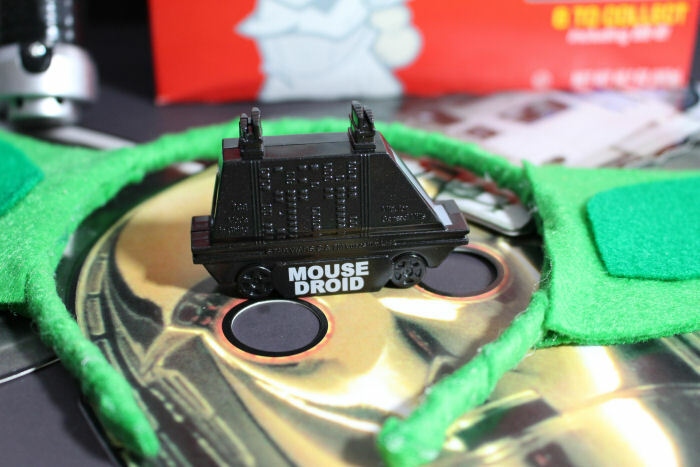 Each droid view finder features a unique, exclusive scene from the movie. Step 1: Print out the template and carefully cut out the pattern pieces. Place the pattern pieces on top of the two sheets of light green felt and cut out. You should have two pieces of each ear. Step 2: Cut out the dark green part of the pattern pieces and place on top of the green felt. Cut out. Take the two pieces of each ear and place some fabric glue in between and press down to paste them together. Leave a 1/4" from the wide end open. Repeat for both ears. Take some more fabric glue and glue the dark green pieces to the ears. Step 3: Take a piece of the light green felt and using some hot glue cover the plastic headband. Glue the ears to the headband. Click on the link to get a coupon for 75 cents off Big G Cereals. This is seriously one of the cutest Star Wars crafts ever. I love, love, love it! This is so adorable! My son would love to have this when he goes to watch the movie. 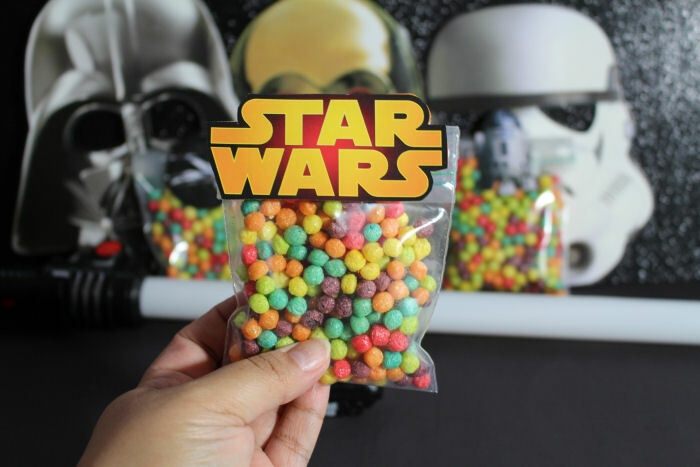 We are SO excited about the new Star Wars cereals! Those snack bags and Yoda ears are too cute! Love'em! I love all the Star Wars items that are out now. The ears are too cute. BTW - tried clicking on the coupon link and it doesn't work for me. So cute! My husband is a huge fan of Star wars, I think he would love it for my son. These are so adorable! I'd wear those yoga ears! Very creative!